Standard equipment for a master of the sport. 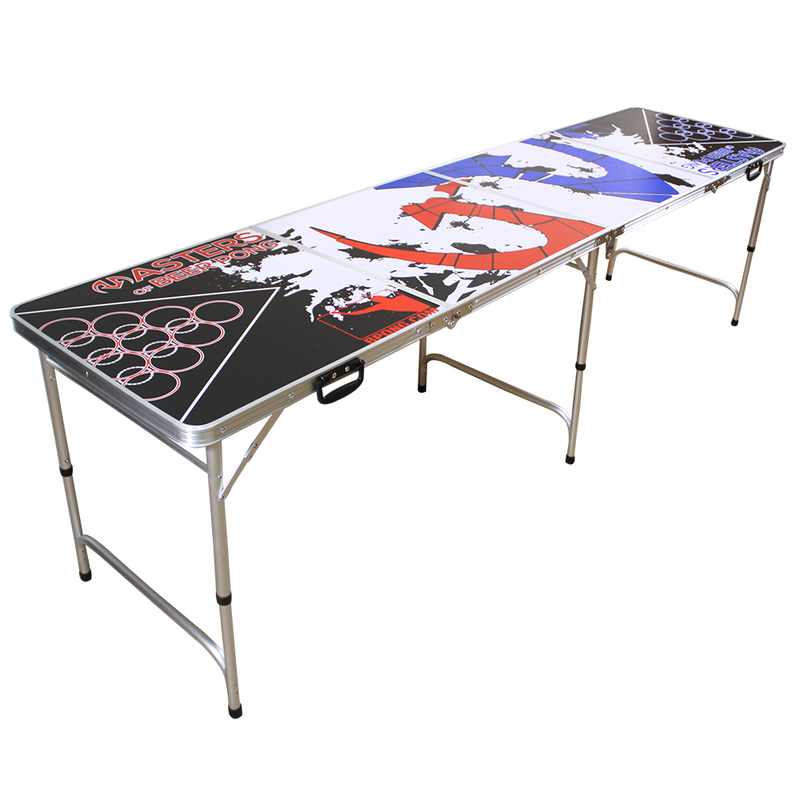 Play like a professional every time you rack your cups on the Masters of Beer Pong Edition Beer Pong Table. 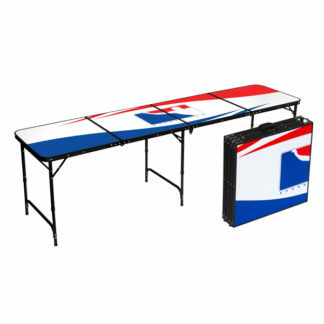 Recognized by beer pong players across the world as the Table of Champions™, the MOBP Edition Beer Pong Table features a regulation 8′ x 2′ surface, safety latch for securing folded table sections on the go, and dual carrying handles. 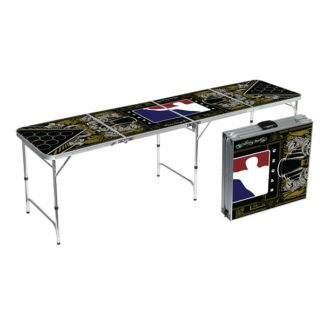 Weighing a conveniently portable 23 lbs, arm fatigue is never a factor in your game. 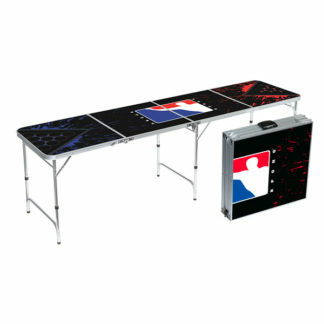 When you’re playing with the Masters of Beer Pong, leveling the competition always starts on a professional playing field.